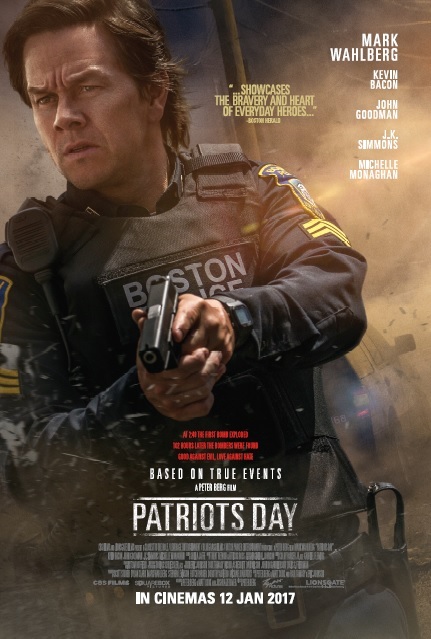 Following Deepwater Horizon (2016) and Lone Survivor (2014), this third collaboration between actor Mark Wahlberg and director-writer Peter Berg is yet another film based on true events with this one being about the tragic 2013 Boston Marathon terrorist bombing and the entire hunt for the suspects. 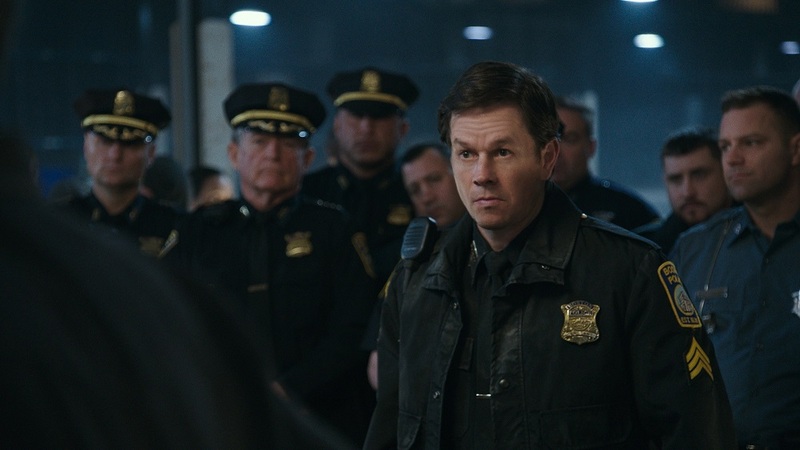 Wahlberg, who’s also one of the co-producers, stars as a fictional Boston Police Sergeant with disciplinary problems with a typical, trademark, vulgar Mark Wahlberg performance that we’re all too familiar by now. And somehow, it works oddly well. This film has everything that you would expect from a Peter Berg true story-film — drama, action, thrills and humour. The action sequences are fun to watch, the investigation and manhunt procedural developments are interesting, and the thriller-like scenes are very gripping. It’s strange that it has jokes and stereotypes (Jimmy O. Yang playing a Chinese man named “Danny” Dun Meng that talks like his character in Silicon Valley TV series) in between and during serious scenes and yet I find it extremely funny, if not offensive. Yes, it’s oddly quite a genuinely hilarious film. This tone of seriousness and humour sort of works but it does sacrifice a lot of the heartfelt emotions needed for the subject, which is fortunately provided by the real footages of the victims (instead of the actors). However, the film does have quite a few flaws. It unnecessarily spends a lot of time developing some characters, like Michelle Monaghan’s role as Saunder’s wife Carol and J.K. Simmon’s role as Watertown Police Sergeant Jeffrey Pugliese, and relationships that provide poor to no payoff later. Instead, why not include characters who’d die in the bombing, even if it’s fictional? It would’ve given the film a heavier emotional impact and audience investment into the manhunt. The film also doesn’t really have a more sophisticated take on the motivations of the Tsarnaev brothers (portrayed by Alex Wolff and Themo Melikidze), who’re the pair of young suspects. In the film, it seems that they’ve decided to bomb the marathon simply because they’re being Muslims (I’m surprised this film wasn’t banned here in Malaysia) and they hate America ’cause they believe that 9/11 was an inside job to blame their religion. I wasn’t emotionally engaged by the “heroes” and victims, and at times it felt like a very one-sided tale. There are scenes that are backed up with real footages during the scenes itself, and some without like the shootout in the final act which nobody knows what really happened then. 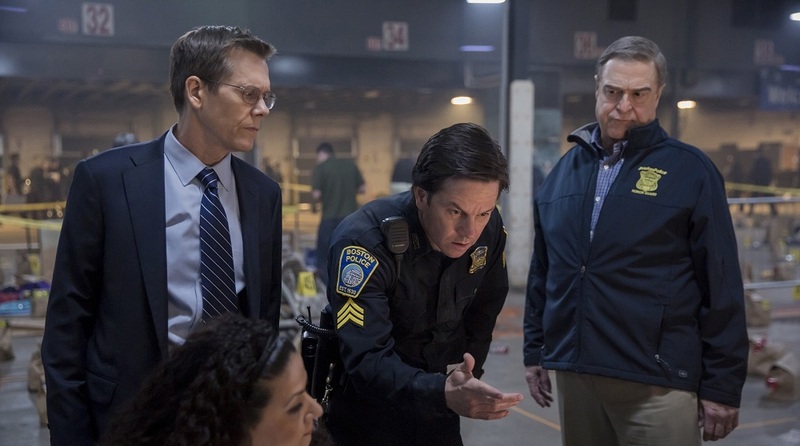 In overall, Patriots Day is a good, entertaining movie and yet not classy, sentimental or detailed enough to do the real-life people justice. If this was not based on a true event, I think I would label this an intense action thriller more than a drama that it’s actually supposed to be ’cause it focuses more on heroism than the victims, the culprits and the bigger picture. Malaysian censorship: It didn’t seem like anything was censored. Graphic severe injuries, legs, blood and Wahlberg’s trademark multi-F-bombs were all left intact at the local premiere screening. Second opinion: My girlfriend, who initially was reluctant to watch it, said that she liked the film as well. Verdict: It’s really weird to say this about a film based on a real tragic incident but… it’s enjoyable. * In respect of the victims and “heroes”, no meme was created for this review.